Social Democratic politician Evgenia Hildén-Järvenperä has joined the Finnish representative group of the ‘Donetsk Peoples’ Republic’, led by docent Johan Bäckman. 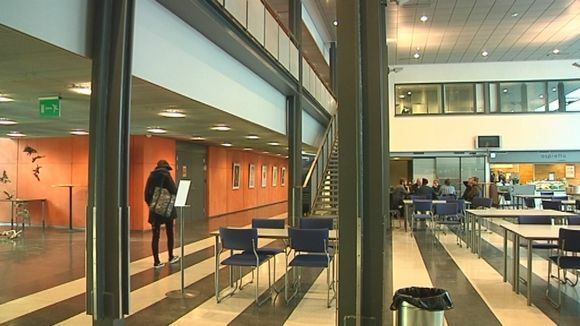 A SDP party member in the southwestern city of Pori, Hildén-Järvenperä is also on the board of the Satakunta University of Applied Sciences (SAMK), whose students are now in a stir due to her involvement with the separatist organisation. Leaders of the SAMK student union have met to discuss Hildén-Järvenperä’s university board status after news of her appointment as Press secretary of the representative body for the Donetsk Peoples’ Republic was made public on Friday. The student union is currently in talks to determine whether Hildén-Järvenperä’s position on the board should be brought into question. The association cannot influence SAMK appointments directly, because the board is chosen on a political basis and Hildén-Järvenperä holds her position under an SDP mandate. A statement may still be made on the student union’s behalf if the student body so chooses. The so-called ‘Donetsk Peoples’ Republic’ is a state without international recognition that has been declared independent by East-Ukrainian separatists. The Republic's representative body in Finland is led by docent Johan Bäckman, who claims he has received a mandate to the position from the Republic’s highest council.